Starting from today this blog has a additional category: Living a healthy lifestyle, or fitness and sport – probably both – in Moscow. The featured star of this introductory post is a pumkin-pizza with a rosmary-topping. What suits celebrating a Sunday better than home-made pizza? Exactly! But it does not have to be a quattro formagio or plain Margarita. 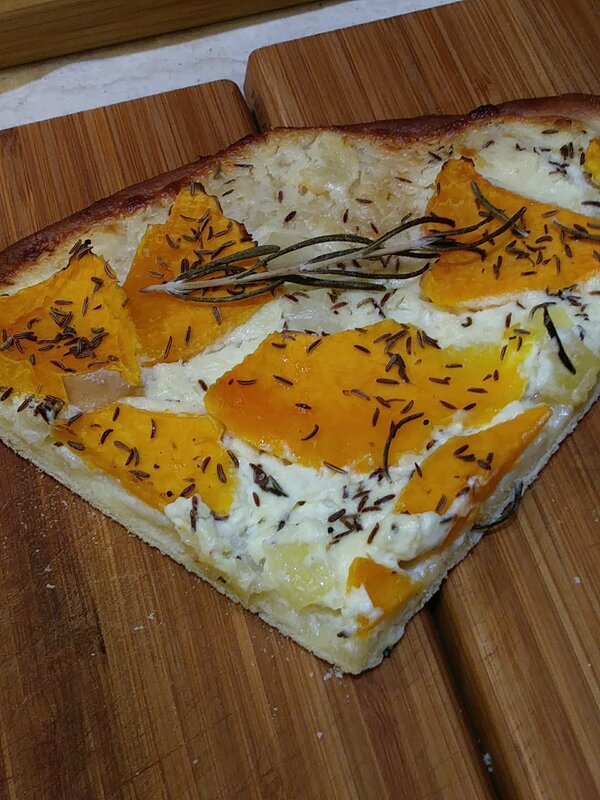 This pizza contains home-made dough, a layer of Kaymak, a South-Russian fresh-cheese, pieces of pumkin, and a topping of fresh rosmary (not sliced).